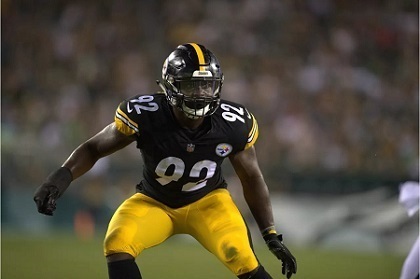 This entry was posted in Steelers 2018 Season and tagged Anthony Chickillo, Ben Roethlisberger, Bud Dupree, Chukwuma Okorafor, Jon Bostic, Kevin Colbert, L.J. Fort, Marcus Allen, Marcus Gilbert, Matt Feiler, Matthew Thomas, Mike Tomlin, Morgan Burnett, Ola Adeniyi, Steelers Roster, Steelers vs. Chargers, T.J. Watt, Vince Williams. Bookmark the permalink.